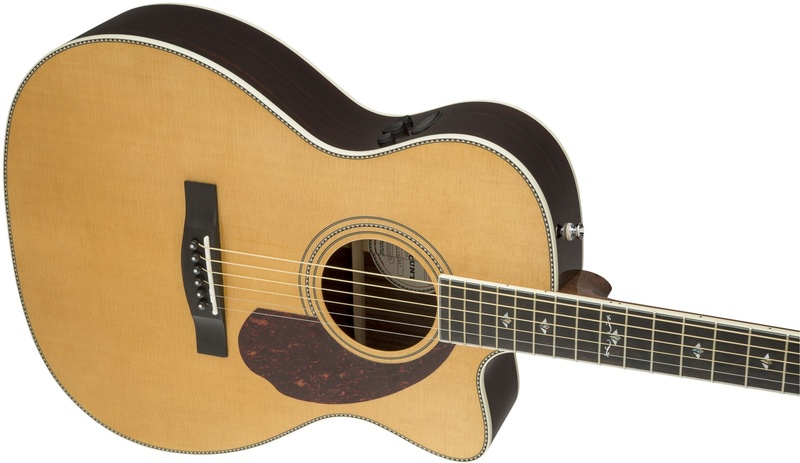 The new Paramount series of acoustic guitars are getting us really excited here at Rich Tone Music. Its hard to believe that a guitar with this level of workmanship and quality is available for a price akin to much lesser instruments. From the all solid back, sides and top, to the classy inlay and binding, this guitar is an absolute joy to behold and play. 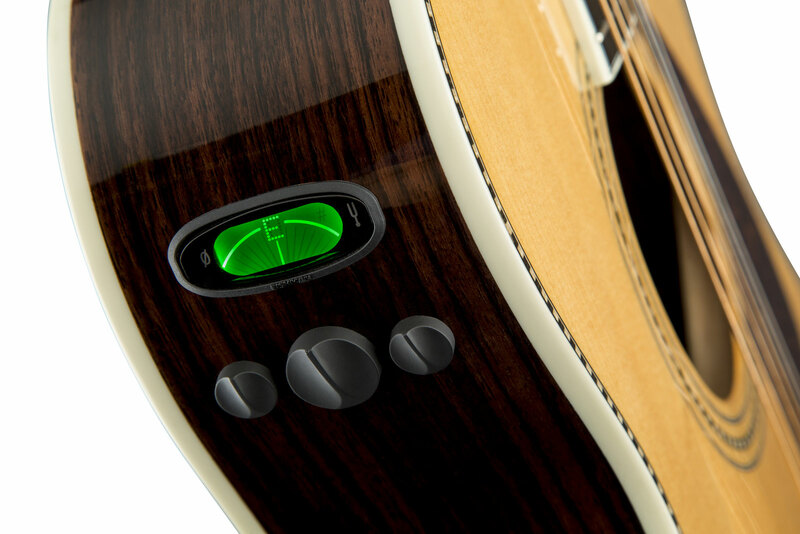 The PM-3 Deluxe is made uses high quality wood such as East Indian rosewood, ebony and grade “A” Sitka spruce top for a fantastic all-round tone that echoes across the acoustic. Finished in vintage sunburst and with vintage additions it’s a slick looking guitar. 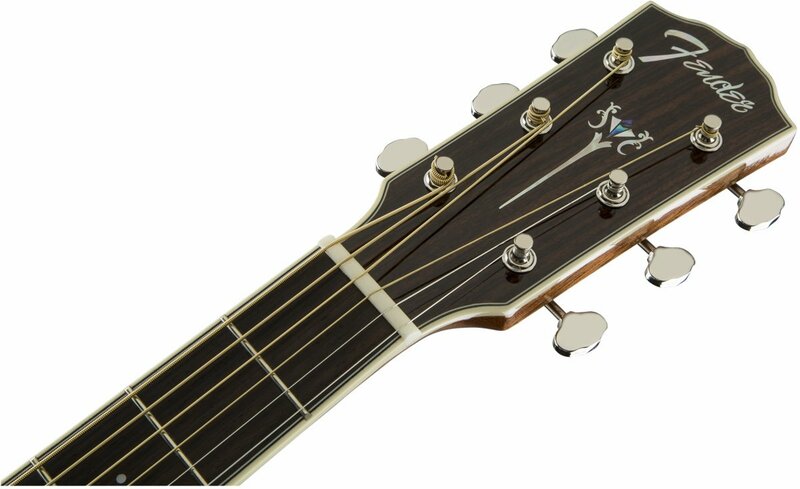 Combine that with the fact this is made by none other than Fender, known for their superb craftsmanship, you can be comfortable in the knowledge that this beautiful guitar will remain with you for many years to come. U.S.-designed Paramount series acoustic instruments are finely crafted and specially voiced to bring your artistic vision to life. Each all-solid guitar offers many legacy design elements of classic ’60s models, including special checkerboard binding and rosettes, unique pickguard shape, and abalone and mother-of-pearl “Concert Tone” fretboard inlays. And even with this art deco look, Paramount instruments still retain their footing in modern design. All-new Fender- and Fishman-designed PM preamp systems are equipped with specially voiced for each body shape in the series, ensuring complete tonal control and variation. Available in a vintage-inspired sunburst finish, the Paramount Deluxe Triple 0 features not only thoughtful vintage appointments, but also the craftsmanship of a truly high-performing instrument. 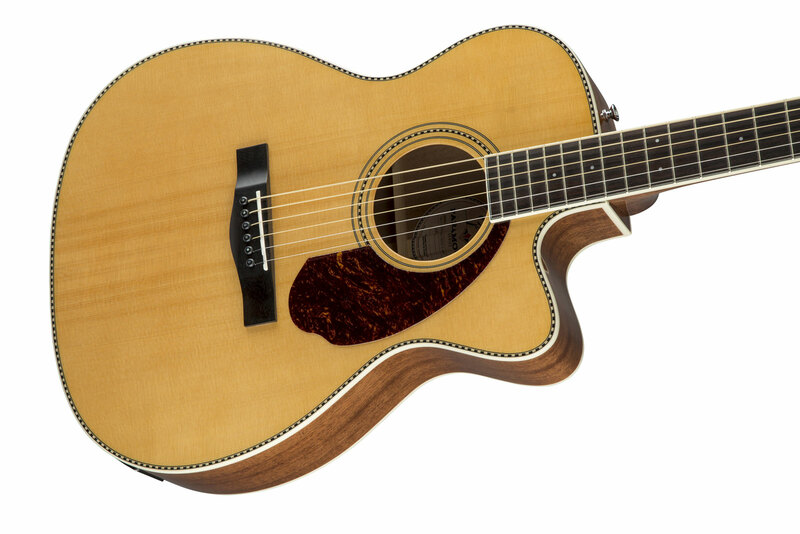 Crafted from premium all-solid tone woods such as upgraded East Indian Rosewood back and sides and grade “A” Sitka spruce top and equipped with quartersawn scalloped “X” bracing, the Deluxe triple 0 cutaway model is designed with freely vibrating, resonant tone in mind. 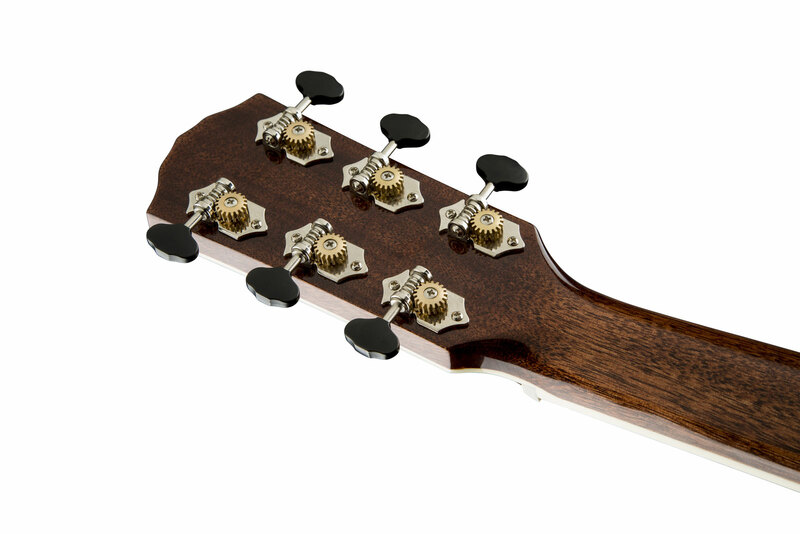 It also features a fast-playing “C”-shaped mahogany neck with ebony fingerboard, both of which are designed to accomodate the most demanding playing styles.